DENTON, Texas. 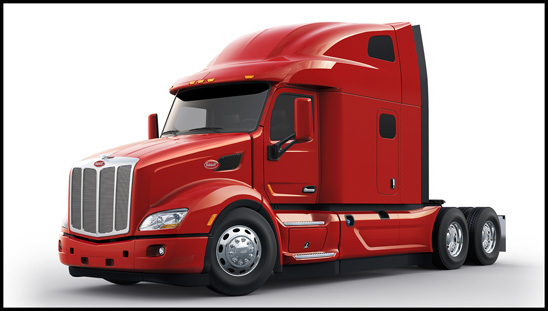 – March 2, 2018 – Today Peterbilt Motors Company announced the availability of two cash rebates for owner operators for the 2018 calendar year. Owner-Operator Independent Drivers Association (OOIDA) members are encouraged to take advantage of a $1,500 cash rebate on Models 579, 567 and 389 when spec’d with a sleeper. Peterbilt’s dedication to owner operators is deeply rooted in the company’s heritage and Landstar members are invited to take advantage of a similar cash rebate for the purchase of Models 579, 567 and 389. “OOIDA and Landstar and their owner-operator members are a vital piece of trucking in the United States and Canada and we are proud that Peterbilt remains their truck of choice,” said Robert Woodall, Assistant General Manager – Sales and Marketing, Peterbilt Motors Company. Members must be in good standing with OOIDA or Landstar for a minimum of 90 days prior to delivery. Rebate checks will be mailed directly to the customer from Peterbilt. Customers are limited to three unit rebates per calendar year and rebates cannot be combined with any other offers directly from Peterbilt.